Tuesday's U.S. congressional elections ended with what might be called a split decision. Democrats gained more than enough seats to take control of the U.S. House of Representatives, but lost ground to Republicans in the U.S. Senate and came up short in some key governor's races. 2) President Donald Trump remains an inescapable political force. Democrats credit Trump's unpopularity among women, minorities, young people and suburban voters with college degrees for their House wins. Republicans said his late-stage campaign efforts helped them pick up seats in the Senate. 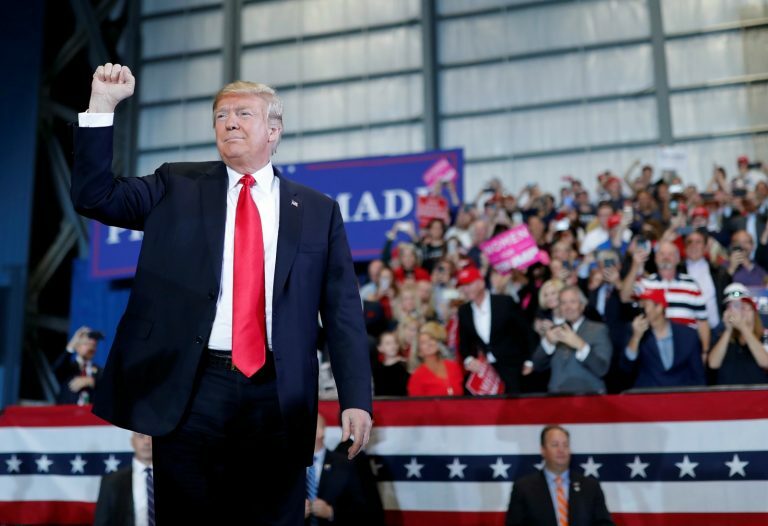 The president showed he remains popular in presidential swing states including Florida and Ohio. 3) Progressive stars had a tough night. Beto O'Rourke lost in Texas, Andrew Gillum in Florida and Richard Cordray in Ohio. None of them broke through, despite the enthusiasm they generated nationally. That means progressive candidates may have a tough time gaining traction in the scrum for the 2020 Democratic presidential nomination. 4) Republicans held off a blue wave in governor's races. Trump-backed Ron DeSantis won in Florida, Mike DeWine took Ohio, Kim Reynolds won in Iowa. All three states are key presidential battlegrounds. 5) The Republican Party is more Trumpian than ever. Gone are Republican Trump critics in the Senate such as Bob Corker and Jeff Flake who are retiring. Also gone are Republican moderates in the House like Virginia's Barbara Comstock and Colorado's Mike Coffman who tried to keep some distance from the president but lost their races on Tuesday. Most of the remaining Republican congressional caucus is on board. 6) Wedge issues raised late in the campaign helped Republicans. The party was struggling to find ways to engage its base until Senate Democrats rose up against Supreme Court nominee Brett Kavanaugh. All three of the Democratic senators who voted for Trump's first high court nominee, Neil Gorsuch, and then turned around and voted against Kavanaugh lost their seats. Trump's continuing focus on the migrant caravan in Mexico turned out to be an issue that helped power some surprise wins in the Senate, but may have contributed to defeats in the House. 7) Democrats had big success in the Great Lakes. The party held onto Senate seats in states in the industrial Midwest that Trump won in 2016. Wisconsin's Tammy Baldwin, Ohio's Sherrod Brown, Pennsylvania's Bob Casey and Michigan's Debbie Stabenow never faced a serious challenge from their Trump-backed opponents -- a positive sign for the party heading into the 2020 presidential campaign.